I, the undersigned parent/guardian, hereby consent for my child to participate in the 2017 NJTL Junior Development Program. In consideration of participation in the program, I hereby indemnify and hold harmless the City of Memphis, Tennis Memphis, Great Base Tennis, MPTC, and any sponsors of the program and its respective employees, staff, board members, officers, agents, successors. I release the same from any and all liability for any injury or illness which may be suffered by my child arising out of, or in any way connected with the program, and assume the risk for such injury or illness. I, the undersigned, have read this release and understand all of its terms and hereby execute voluntarily, with all knowledge and understanding of its significance.  PUBLICITY RELEASE: I hereby give my consent for my child to be interviewed or photographed by the media and Tennis Memphis for the purposes of website, social media, marketing, advertising, or newspaper publication. PARENT’S AUTHORIZATION: In the event that I cannot be reached in an emergency, I hereby authorize any medical assistance or treatment deemed necessary in the event of any injury to my child while participating in any program activity. I agree that if my child does not have appropriate insurance coverage, I will pay all costs of medical services incurred on his or her behalf.